Copyright: No copyright is transferred in respect of any images entered. By submitting an image, you agree that EEF Ltd. and any of its partners can display, distribute, publish and alter any of the images in their activities to promote and support UK manufacturing for a period of five years. Win a share of our £5000 prize fund to help you buy the very latest, high-end equipment. Theme: Made by Britain, Loved by the World. 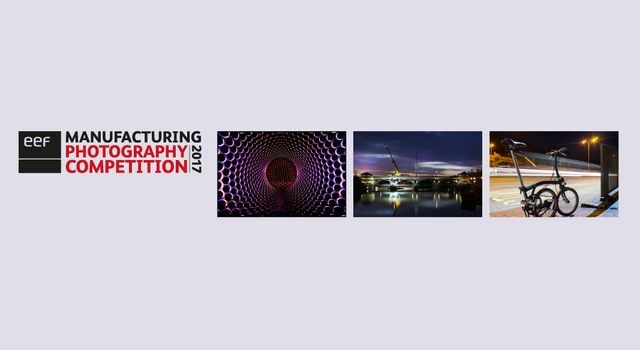 This competition is designed to inspire a new image and improved public perception of UK manufacturing using photography. From the traditional to the high-tech your images should reflect the strength and diversity of today’s UK manufacturing sector. The short listed entries will be announced on the EEF Photography Competition website in November 2017. There is no limit on the number of images that you can enter to the relevant category. Online submission of digital photographs via the website.